Method, maker of home care and personal care products, has figured out how to take plastic from the ocean and recycle it into new bottles for their products. This is cooler than it first appears. 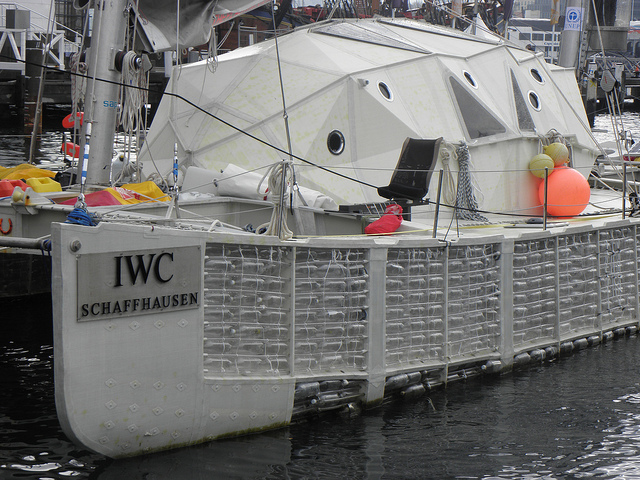 Even though researchers predicted trash would collect in the north Pacific Gyre in the late 1980s, it wasn’t until Charles J. Moore, returning to California from Hawaii after finishing the 1997 TransPac race, sailed right through the Pacific garbage patch, that ocean plastic emerged in the public eye. There has been no shortage of efforts to remove the plastic from the ocean, and turn our plastic waste into constructive things before it hits the ocean. Moore and crew launched the JUNK Raft in summer of 2008, sailing from California to Hawaii, through the garbage patch on a vessel made of an old cessna fuselage and 15,000 plastic bottles. David de Rothschild and crew went one further and pulled off the brilliant Plastiki expedition in 2010, sailing a boat made of 12,500 plastic bottles – the amount consumed every 8.3 seconds in the US according to the website – from San Francisco to Sydney. 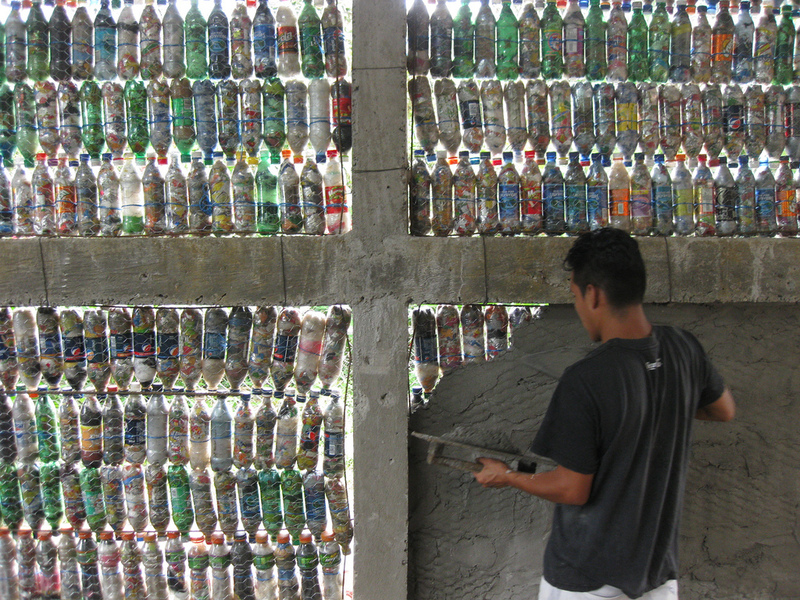 Hug It Forward has leveraged kid power in Guatemala to build 12 schools out of plastic bottles. The City of Taipei went bigger and built the EcoARK out of 1.5 million recycled plastic bottles. The list goes on, and they’re all awesome. Now Method has shown that creative use of recycled plastic is more than an attention-getter — it’s part of a successful business model. (They were in Target stores nationwide within 2 years of launching, and were the 7th fastest growing private company in the US in 2006.) They’ve teamed up with beach clean up orgs in Hawaii to gather plastic that landed there from the Pacific Gyre, ship it to their recycling partner Envision Plastics, and recycle it into bottles for their products. William McDonough and Michael Braungart, writers of Cradle to Cradle, said that recycling often is not really recycling but downcycling – giving an object one more go around on its way to the land fill. True recycling is when something can be reused at the same level without degradation, indefinitely, like when Patagonia takes your old clothes and makes…more clothes. Upcycling – taking something and transforming it into a higher quality or function, is even better. I would say taking bits of plastic that have floated their way to beaches in Hawaii, and turning them into bottles for Method products — eco-friendly hand wash, fabric softener, etc — qualifies.